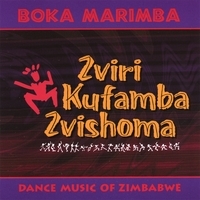 Boka Marimba is a ten-member dance band that plays exhilarating, energetic music from Zimbabwe and other areas of southeastern Africa. Much of the music consists of melodic themes layered in polyrhythmic, cyclic patterns. Together these themes create a kaleidophonic sound with melodies calling and responding to each other. In its 20th year of existence, Boka Marimba continues to rock the Pacific Northwest with the sounds of Zimbabwean-style marimba. The band started with a workshop in Portland, Oregon with the late Dumisani Maraire in 1987 and has had over 50 members in its history. 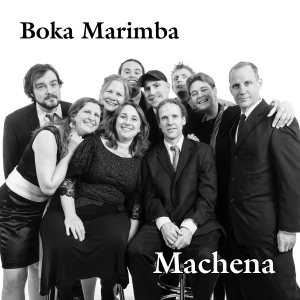 Boka’s current 10 members have taken their style of collective improvisation from the sounds of the mbira, the ancient music of the Shona people of Zimbabwe. In Zimbabwe, it is said that during the night if you hear the howling of the wild dogs it means that there is a lion nearby. The dogs often follow behind the lions and feed on the remains of a lion’s kill. The lion is also considered the carrier of the most powerful spirits in Zimbabwe (the Mhondoro spirits). 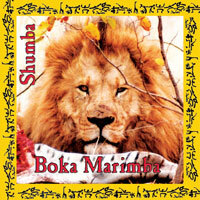 It is believed that when a Mhondoro spirit is not possessing a person it lives in the lion. So, when you hear the wild dogs howl there is not only the presence of a lion but also the Mhondoro spirits. In the same way that the wild dog follows the lions, the mbira players must follow the Mhondoro spirits. Like the mbira players of Zimbabwe, we follow the spirit of this amazing music! Serevende is “a thing that goes on and on”, like the trance music of Zimbabwe that seems to carry on even if the musicians have stopped playing. As the songs are played for extended periods of time, they take on new directions, sometimes destinct from the original melody. 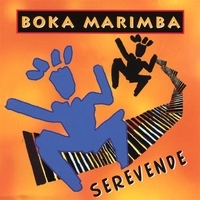 On Boka’s CD, “Serevende”, the melodies and rhythms of Zimbabwe meet with musicians of the Pacific Northwest and keep spinning on. In Shona, zviri kufamba zvishoma is a humble way of saying “we’re keeping on…bit by bit…” Fifteen years and some 30 members later, Boka keeps on beating the heart of Zimbabwean music in the Pacific Northwest. Zviri Kufamba Zvishoma reflects the chemistry and creativity of the band over the last three years, building upon the tradition established by the previous members and teachers of the band. Our praise and thanks to those who have gone before us. We keep on. Recorded live at the Original Music Showcase, Portland, Oregon.